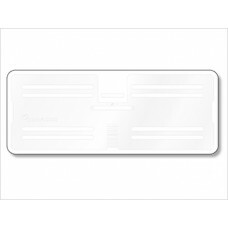 Confidex Silverline™ is a versatile all-surface RFID label for securing various types of industrial assets. By combining the on-metal performance of hard tags and personalization easiness of labels the Confidex Silverline™ makes the usage of RFID easier and more efficient than ever. Confidex Silverline™ is ideal for applications such as industrial logistics, asset tracking and work-in-process monitoring. The label can also be attached on curved surfaces like liquid bottles and metallic cylinders without affecting its performance. In actual use, Silverline has already proven itself to provide constant, reliable readings when attached on metal and used in highly demanding conditions.